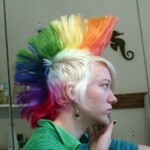 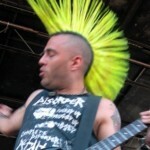 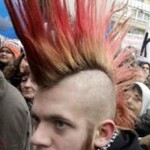 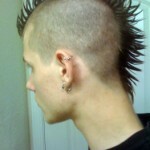 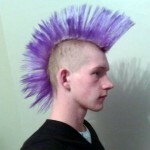 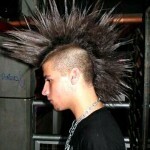 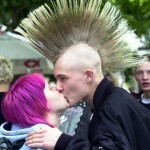 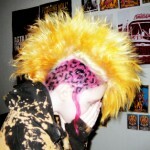 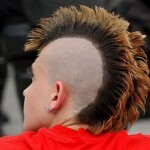 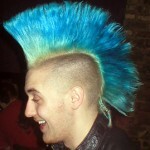 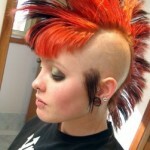 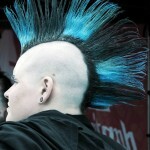 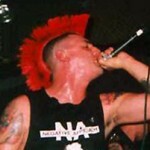 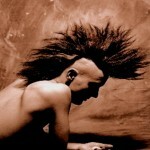 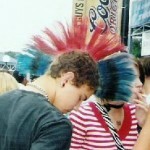 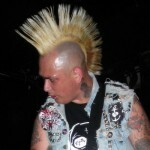 The Mohawk is perhaps one of the biggest cliches of the punk style. 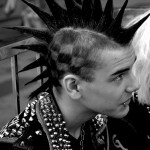 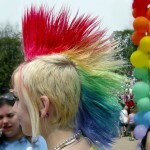 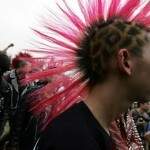 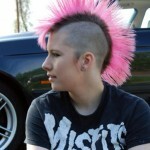 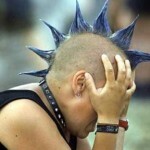 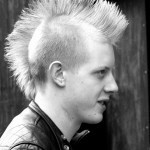 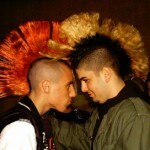 Think punk, think ripped pants, Johnny Rotten, studs and chains, doc martin boots, piercings and of course the Mohawk. 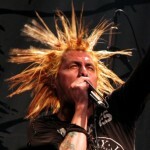 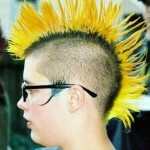 Without a doubt one of the hottest topics of a young punk rocker is how to go about getting the best Mohawk you can get. 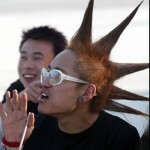 Unfortunately it is quite hard to fight gravity, so the first thing you must know is that is you have curly hair it may be very hard or perhaps even near impossible to get the upright, sticking up in the air mohawk of your dreams. 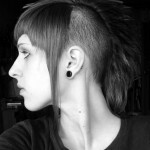 This hairstyle is more suited for those with straight hair, wavy hair or something in between. 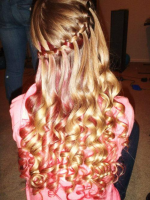 Ofcourse there are other variations that can be done with curly hair. 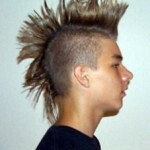 To get that erect hairstyle that will stay that way for hours without moving or going limp you will need to use a bar of soap (definitely don’t use liquid soap). 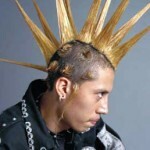 Add very little water to the hair while soaping it up – add too much water and your Mohawk will fall. 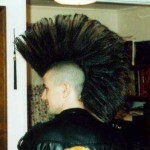 It is an art you have to practice it yourself and find that intermediate soap and very little water combo that makes your Mohawk stand to attention. 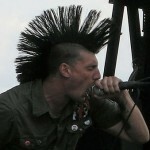 Using this awesome soap method you can even go and throw yourself in the mosh pit and your Mohawk may suffer a little bit of damage but no where near as much as if you say use gel, hairspray or any other conventional hair product. 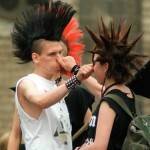 Just remember to use a nice or neutral smelling soap because the smell can be really overwhelming!